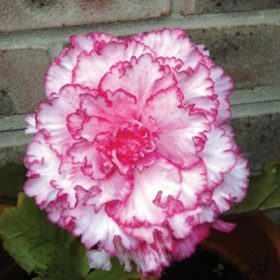 The begonia tubers we supply are amongst the largest you can get. 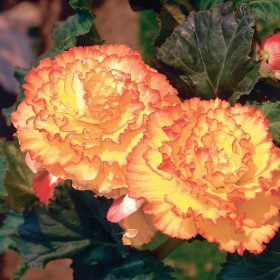 Double begonia orange has deep bright orange blooms. This begonia has superb deep soft pink large flower heads. Superb large golden yellow blooms growing from the top grade tubers our begonias are ideal for brightening up the shady areas of any garden. Bright orange pendulous flowers that will cascade down and as we provide large tubers we know these are the best for a summer of colour. Such an easy group to grow, this begonia has bright pink flowers that cascade down in a spectacular fashion. The pure white pendulous begonia flowers form on very strong stalks which of course hang down. 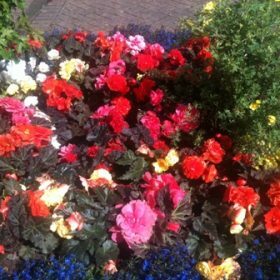 Grow in hanging baskets or containers for the best affect, the flowers of this pendula begonia will provide a fantastic show of golden yellow flowers.